Why VISION DEMO Appliance slash auth SQLPLUS / as SYSDBA is not working – Roseltek Inc. This post could also be entitled “Setting up the linux user (oracle and applmgr) environments for full functionality at the commandn prompt”. There are multiple .env files located around on the server on this appliance, and only one set of circumstances allows you to authenticate as system or sys or “internal” (/ as sysdba) from the server. make sure the oracle user is in the dba group. if not use the unix groups utility to add it to the dba group. for ease of use, set up the oracle user to use the correct autoconfig environment file..
(the APPS one should be added to the APPLMGR user .bash_profile as it will run the other two) This sets up the $APPL_TOP and all the associated applications variables. 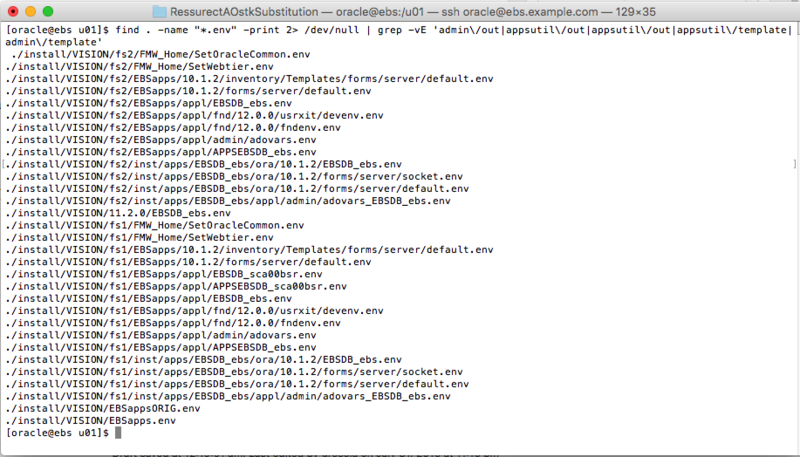 This one should be added to the oracle users’s .bash_profile. It is this file that will enable sqlplus properly and set the environment properly so that SYSDBA connections work. This thing has cost me more hours than anyone should admin. Good Info!